Lorry Kennedy designed the flyer, magic island sketch by John. Michael Todd to help coordinate the sketchcrawl. Yes, there is a local sketchrawl group. We are planning to meet and have a flyer ready. Mike will be posting the location soon. 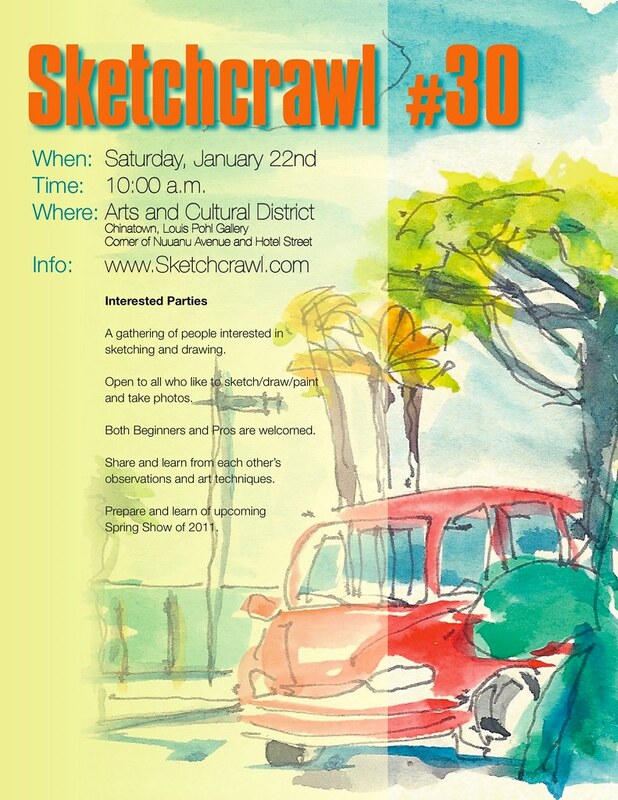 Plus, Dennis in Hilo is planning a sketchcrawl too! Sharing sketches by the students of Waipahu High School's Art Club. Sorry, they could not post their images, but here's a link to the club's website. All Clear!!! A small Tsunami arrived without incident. Thank you sunlio and Throsen for your thoughts! Prayers go out to Chile.